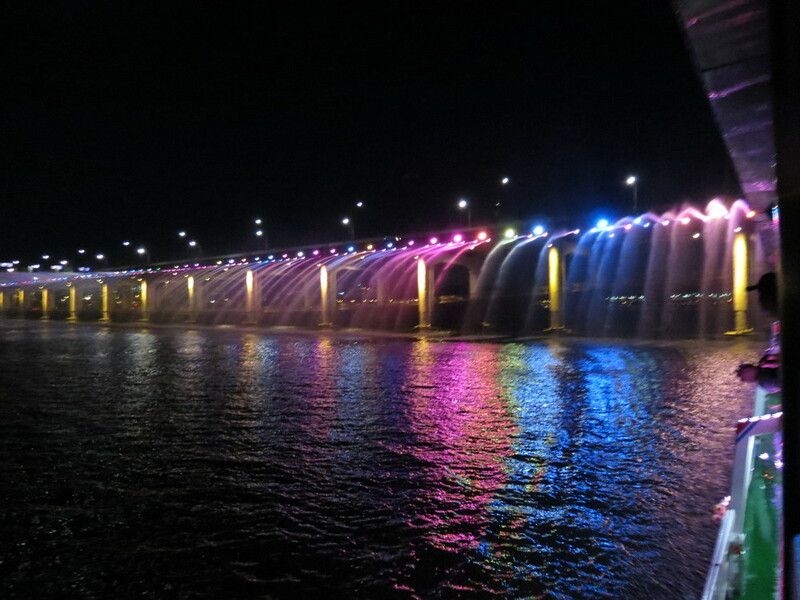 Located in Seoul, South Korea, the Banpo Moonlight Bridge Fountain has 10,000 LED nozzles that run along both sides. 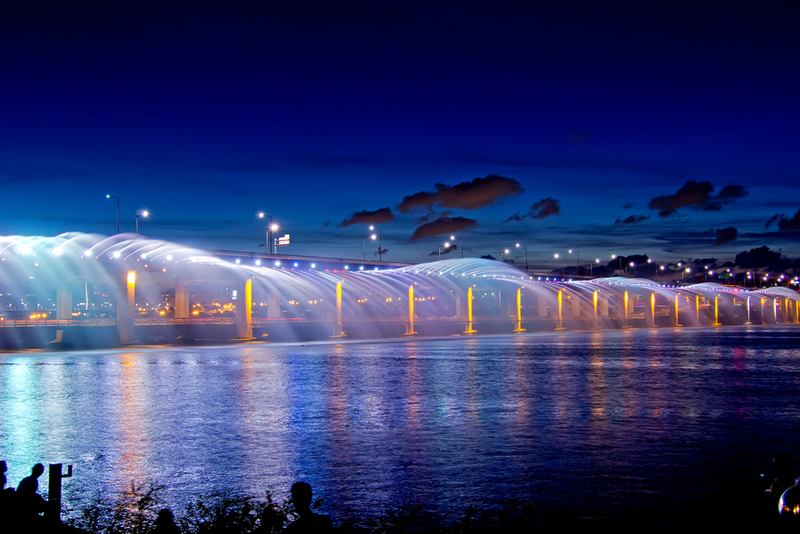 The LED nozzles stretch 1,140 meters long. 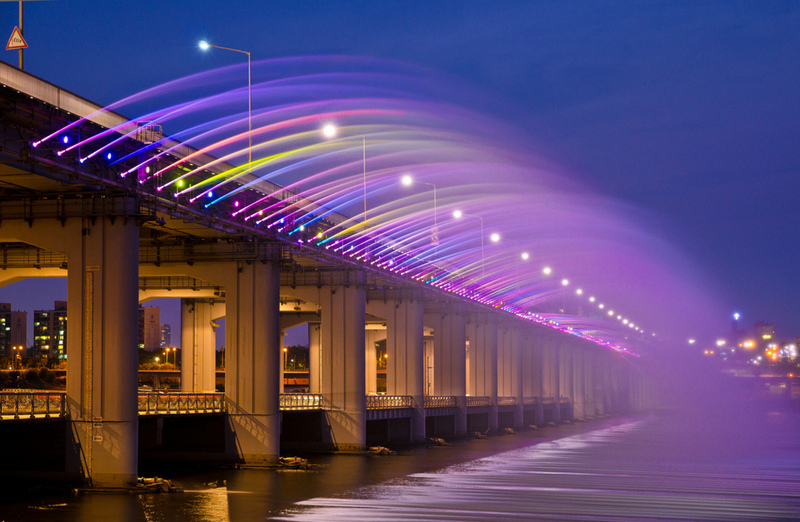 This fountain shoots out an astonishing 190 tons of water per minute. Enjoy the pictures below and dont miss the video at the end!